$8.98 on Amazon look inside this book! 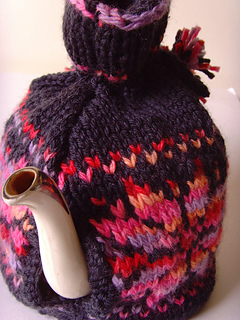 This pattern includes some crochet - just simple back-and-forth stuff - at the top of the tea cosy. 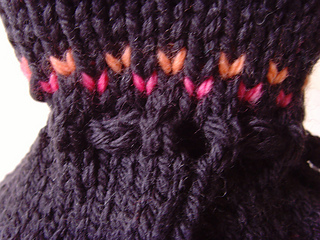 You need about 150-200 yards of each colour, the background colour takes more than the contrast colour. 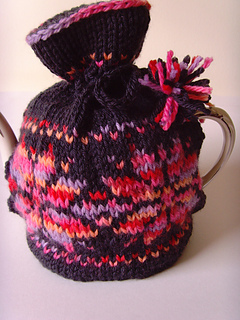 Pattern includes detailed instructions, plus the fairisle charts. 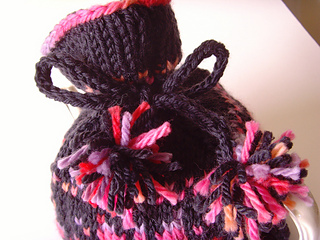 It is knitted flat and sewn up, and includes a drawstring (I-cord) at the top, with bobbles on! 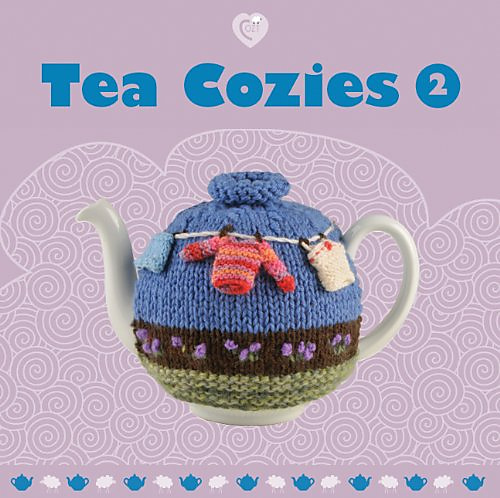 This pattern is available in the book Tea Cozies 2 - named as ‘Fairisle’.